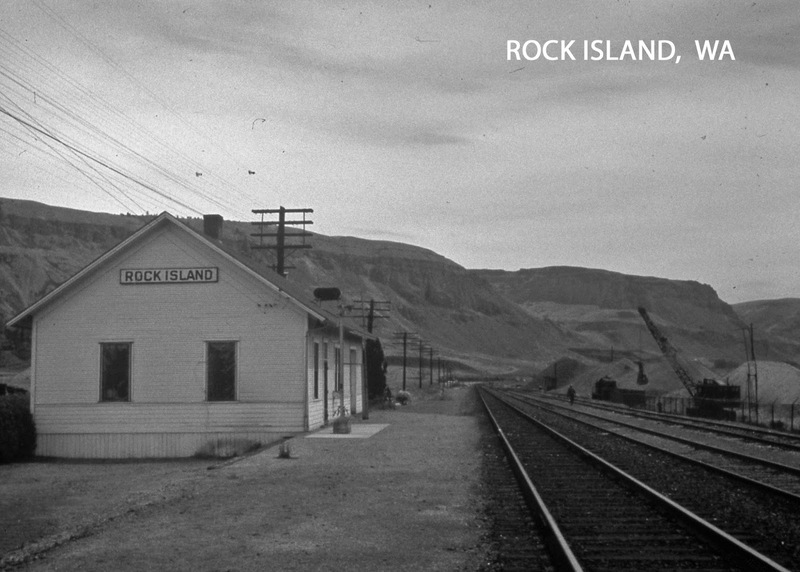 The depot at Rock Island was not the first one in this location, the prior one having been moved here from Irby around 1930. That depot lasted until 1942 when the pictured one was built. The oblong black thing just above the right edge of the roof is the train order signal, installed in 1943. It was used to tell passing trains if they had to stop for orders. On the left is part of the yard for the Keokuk Electro Metals site. The small industrial locomotive seen in the distance to the right of the mainline now sits in the Wenatchee Riverfront Park in Wenatchee.